The flux reconstruction (FR) approach allows various well-known high-order schemes, such as collocation based nodal discontinuous Galerkin (DG) methods and spectral difference (SD) methods, to be cast within a single unifying framework. Recently, the authors identified a new class of FR schemes for 1D conservation laws, which are simple to implement, efficient and guaranteed to be linearly stable for all orders of accuracy. The new schemes can easily be extended to quadrilateral elements via the construction of tensor product bases. However, for triangular elements, such a construction is not possible. Since numerical simulations over complicated geometries often require the computational domain to be tessellated with simplex elements, the development of stable FR schemes on simplex elements is highly desirable. In this article, a new class of energy stable FR schemes for triangular elements is developed. The schemes are parameterized by a single scalar quantity, which can be adjusted to provide an infinite range of linearly stable high-order methods on triangular elements. 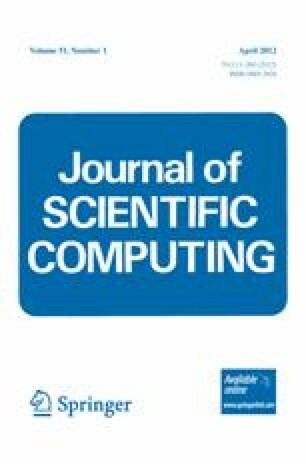 Von Neumann stability analysis is conducted on the new class of schemes, which allows identification of schemes with increased explicit time-step limits compared to the collocation based nodal DG method. Numerical experiments are performed to confirm that the new schemes yield the optimal order of accuracy for linear advection on triangular grids.